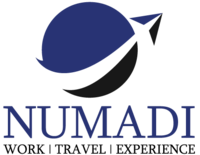 Numadi Limited (we, us, our) complies with the New Zealand Privacy Act 1993 (the Act) when dealing with personal information. Personal information is information about an identifiable individual (a natural person). related service, through any registration or subscription process, through any contact with us (e.g. telephone call or email), or when you buy or use our services and products ▲ third parties where you have authorised this or the information is publicly available. card transactions ▲ to respond to communications from you, including a complaint ▲ to conduct research and statistical analysis (on an anonymised basis) ▲ to protect and/or enforce our legal rights and interests, including defending any claim ▲ for any other purpose authorised by you or the Act. located outside New Zealand. This may mean your personal information is held and processed outside New Zealand. If you want to exercise either of the above rights, email us at info@numadi.com Your email should provide evidence of who you are and set out the details of your request (e.g. the personal information, or the correction, that you are requesting). If you post your personal information on the website’s message board/ chat room/social media page, you acknowledge and agree that the information you post is publicly available.